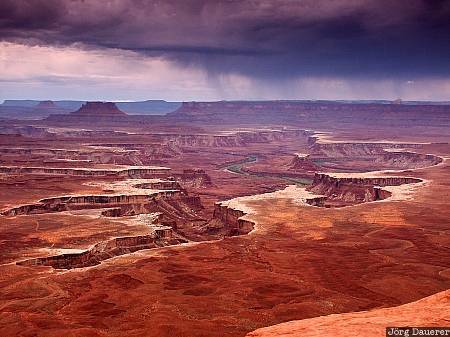 Storm over the canyons of Canyonlands National Park seen from Green River Overlook in southern Utah, United States. This photo was taken on a rainy day in October of 2003. This photo was taken with a digital camera.